When a program is compiled, we can no longer access what it contains. Unless we have Resource Capture. This software allows the user to access a file and extract any resources that it may contain. 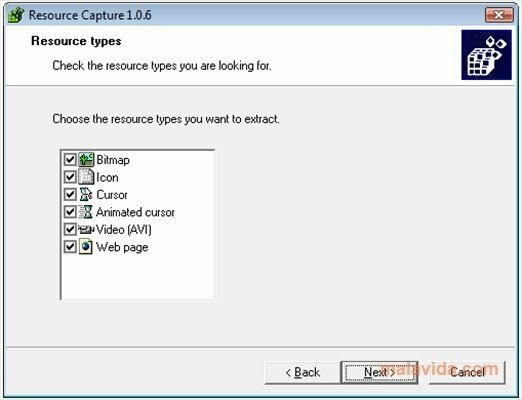 There will be no problem when it comes to opening executable files (EXE), libraries (DLL) or Visual Basic files (VBX), from which it will be possible to extract BMP, icon, cursor , animated cursor, video and even HTML files. And all of this with great ease thanks to the fact that it works as an assistant. 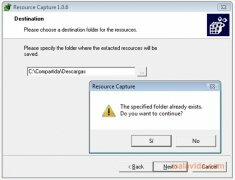 As soon as we launch Resource Capture it will ask us to indicate where it can find the executable files. 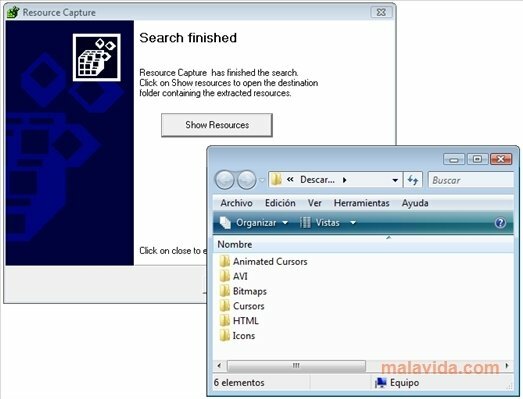 After that, it will ask where we want to save everything that it extracts and in a few seconds we will have everything perfectly organized depending on the type of files that it is. What's more, Resource Capture is capable of searching in a single file or all those that can be found in a folder, something very interesting when it comes to searching within games (for example) and obtaining its videos, images and different material that we may be interested in.